We are tremendously excited to announce a key hire joining Coursera’s leadership team; Dr. Vivek Goel, the former Provost of the University of Toronto and current President and CEO of Public Health Ontario, joins us in May as our Chief Academic Strategist. As Chief Academic Strategist, Dr. Goel will help us build and maintain our fast growing ecosystem of partner universities and educational institutions, while assisting partners to explore deeper and broader course development, collaboration, and joint academic initiatives. 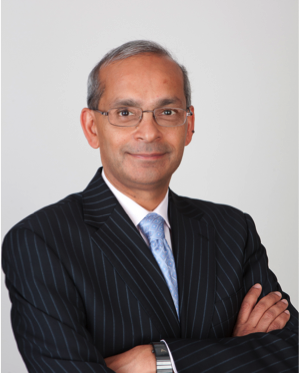 Throughout his career, Vivek has built strategic partnerships across organizations in a range of industries–from health services to academia, government and beyond. In his current role as the Founding President and CEO of Public Health Ontario, Vivek leds this new agency in improving the use of information and knowledge in the public health practice. Previously, Vivek was Vice President and Provost at the University of Toronto, where he is still a professor at the Dalla Lana School of Public Health and the Institute for Health Policy, Management & Evaluation. Vivek is also an adjunct senior scientist at the Institute for Clinical Evaluative Sciences, the Vice-Chair of the Board of Directors of the Canadian Institute for Health Information, a member of the board for the Change Foundation, and a member of the National Statistics Council at Statistics Canada. Dr. Goel earned an MD from McGill University, and two Master’s degrees in health administration and biostatistics from The University of Toronto and Harvard University, respectively. Please join us in welcoming Vivek on board!